How to Soften Leather Jacket? The leather jacket is said to be the piece of clothing that you need in order to look cool. Of course, there are some synthetic versions that are available that are already soft but there is nothing more exquisite than having your own leather jacket that you are going to break in on your own. If it is your first time to own a leather jacket, you may be wondering why you need to break it in. Without breaking in, your leather jacket would be stiff and will be a bit hard to wear. It will not let you move around that much and can break the coolness factor that a leather jacket is supposed to give. If you think that you have to wear your leather jacket often in order to break it in, remember that there are still other things that you can do to break it in faster. 1. Know what type of leather you are working with. There are different types of leather available because they come from different animals. There are some types of leather that can take a lot of abuse but there are also other types of leather that are more sensitive. For example, you are not recommended to abuse lambskin leather because it is not strong enough. You will end up breaking it and not breaking it in. Remember that leather is not the same with fabric that you can just sew when you have tears and holes on it. All the scratches that will appear on your leather jacket will be there forever. 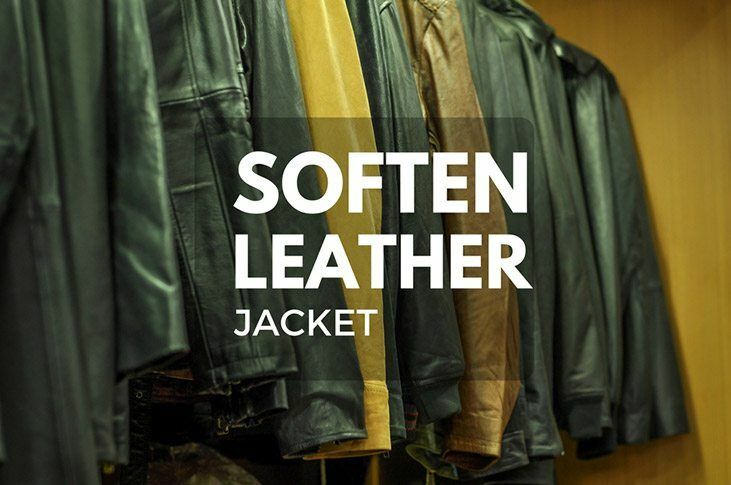 Choose the right leather jacket depending on how often you plan to use it. You may want to break in your leather jacket as fast as you can but the things that you are going to do to your leather jacket cannot be undone. It is not like the things that you can do in your computer wherein you can just press the undo button and the item you are editing will go back to its former state. You have to think things thoroughly before you do certain processes that can speed up the break-in process. 3. Use leather conditioner on your leather jacket. The main reason why you are going to use a leather conditioner is not only to protect your jacket but to make it softer than usual. When applying the leather conditioner, it is best that you will use a microfiber towel so that your jacket will not be ruined. Remember that the better and more even you rub leather conditioner on your jacket, the better it would be. 4. Wear it when it is drizzling a bit. It is important to emphasize that you are only recommended to use your leather jacket under light rain and not when it is raining cats and dogs. Remember that you only want to break in your leather jacket. You do not want to ruin it entirely, right? Exposing your leather jacket to rain will help the leather become softer and at the same time, it will also cause the jacket to stretch out a bit so it can be more comfortable when you are wearing it. For some people, they think that it is a bad thing to stretch the leather a bit. The opposite of this is to place the leather jacket in a dryer for a few seconds so that the leather will shrink a bit. 5. Use abrasives in order to break in your jacket. Remember that this is only applicable for certain types of leather that will be strong enough to take the abrasives. The steel wool is the most recommended abrasive that you can use in some parts of your leather jacket so it will become softer. If you would like to do this method, it is best that you will do this slowly. Working as fast as possible will not do anything. You may only end up ruining your perfectly fine jacket. You should also check the things you have done so far and if you are already satisfied, stop. Now that you know how to break - in your jacket, remember that there are still some things that you have to avoid. If you would soak your jacket in water and leave it there for a long period of time, you can already expect that your jacket will be ruined. One last thing that you have to remember: check out the label of your leather jacket and follow what is written there. If you don’t, you might end up ruining a perfectly good piece of clothing just because you wanted to break it in your own way. What is the Best Motorcycle Gloves and How to Choose?